using our easy to use calendar. appointment and view client history. Secure and ubiquitous. Available from anywhere. Keep tabs on payment history and outstanding items for each client. It can take as little as 3 seconds to create an appointment. View and manage all appointments or filter by staff or client. Dowload Excel data or PDFs using custom filters and reports. Google Maps integration makes it easy to find staff and clients. Adjust appointment details on the fly to accommodate staff or client needs. Connect with Quickbooks, Freshbooks and other billing software. Google Calendar integration means your are on schedule every time. Create to dos for techs to add to or convert to an appointment. Integration with Slack API allows techs to report on status and location. 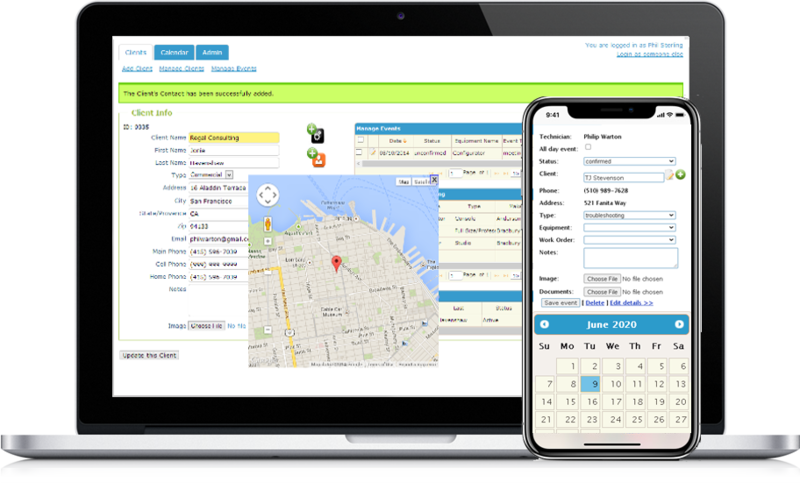 After struggling for years with numerous "off the shelf" Field Service Management software solutions, which never properly fit our business - I finally found Real Scheduler. The onboarding process was painless, and the solution fits like a glove. It has exceeded my expectations - and I expected a lot! My staff loves it, and we finally have the tools we need to properly handle all of our scheduling and CRM needs. Thank you, Real Scheduler! We aim to provide the best tool for small service-oriented companies to schedule and manage appointments. Please contact us to schedule a demo so see whether Real Scheduler might work for you. Real Scheduler 2018. All rights reserved.